Pear-Shaped Lab-Created White Sapphire Scallop Necklace in Sterling Silver - 17"
Flirty diamond styles from Zales are both refreshing and sweet. These feminine diamonds are classic and simple but still make a bold statement. Flirty diamond jewelry choices are the perfect way to celebrate milestones or just reward yourself for an achievement. 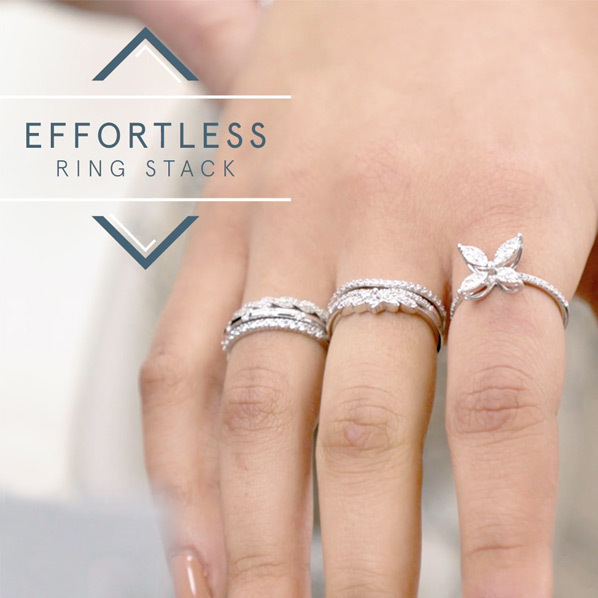 Flirty diamonds feature patterns with floral notes, butterflies or other whimsical designs. This sweet diamond jewelry is glamorous enough for special occasions or a great look for everyday wear. Explore flirty diamonds and sweet diamond jewelry styles at Zales.